Before me unfolded the most fascinating story I have ever read or watched. I could not put the story down. The more I read, the more I needed to keep going. As the Battle of the Little Big Horn took place before me, I was transformed. I listened to the words of Peter Thompson and I understood him, and I understood the Battle, for I was there. 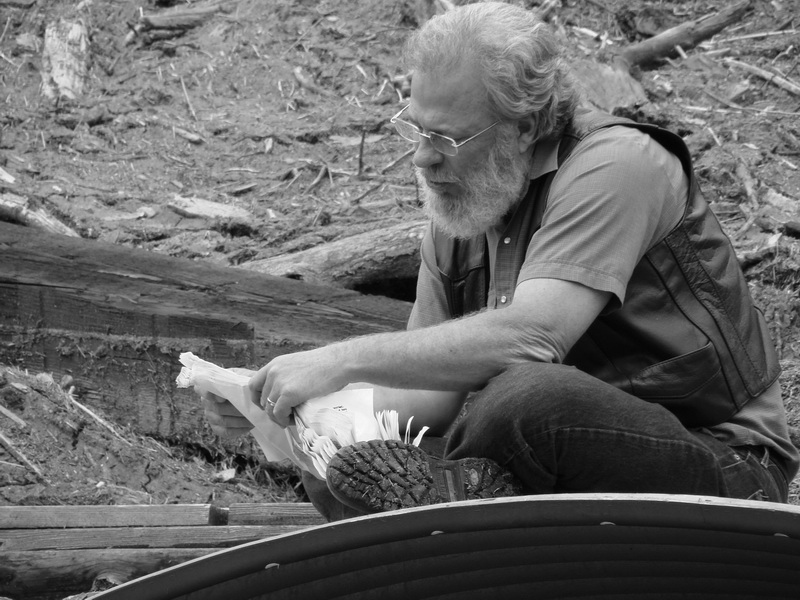 Peter Thompson was born in Scotland, immigrated to the United States with his parents and settled in Pittsburgh, PA. The thought of becoming a soldier took possession of his mind. 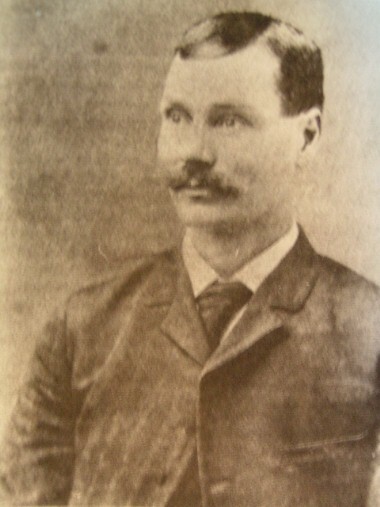 Peter Thompson joined the Army in September 1875. Transferred to Fort Lincoln, Dakota Territory, October 1875. The same October, Company C of the 7th Cavalry arrived at Fort Lincoln. Pvt. 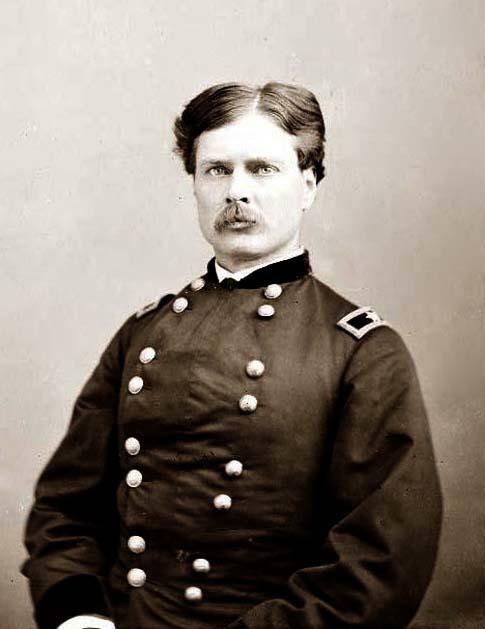 Thompson was assigned to Co.C, and soon Captain Tom Custer, brother of General George Custer, took command of Company C. This company became the go to company for General Custer. During the expedition of 1876, General Terry moved westward, arriving on the Little Missouri River. General Custer took Company C and others, down the river and back, 50 miles, crossing the river 34 times in little over 12 hours. On the march between O’Fallon Creek and the Powder River, Custer made a 15-mile mad dash to find a trail for the wagons to the Powder River, taking with Capt. Tom Custer and one half of Co.C and others. At the Powder River, Major Reno took Company C and others on a 9-day, 241-mile reconnaissance, meeting up with General Terry on the Yellowstone River. General Custer then moved the entire 7th Cavalry up the Rosebud and crossed over to the Little Big Horn River. June 25, 1876, the 7th was divided into three battalions and a pack train. General Custer took command of Company C and four other companies. Custer took the east side of the river and at one point viewed the Indian village. The five troops then broke out into a gallop. Pvt. Thompson gradually was left behind in spite of all he could do to keep up with his company. Thompson stopped and then moved forward, stopped and moved forward again, stopped and moved forward again. Three times he moved forward, with natural instincts to fall back to the rear. The Custer Hill battle came to its conclusion. 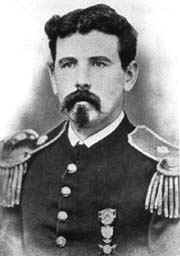 Thompson moved to the rear and was picked up by the Reno command, which then went into a defensive position, known as Reno’s Hill. Early morning of the 26th, atop Reno Hill, Captain Benteen gathered thirteen troopers to stop the Indians from coming up a ravine and attacking the position. This would become known as Benteen's first charge of three made. One of the troopers was Pvt. Thompson. As the troopers got their ammo and guns ready, they learned their duty was to run up “a short hill towards the edge of the bluff and the head of the ravine”. Thompson was one of the first to reach the top of the bluff and rifle fire erupted from the warriors on the other side of the hill. A bullet shot through his right hand and arm, removing his middle finger, embedding in his elbow. A short distance from Thompson laid a wounded trooper and after another volley, Pvt. 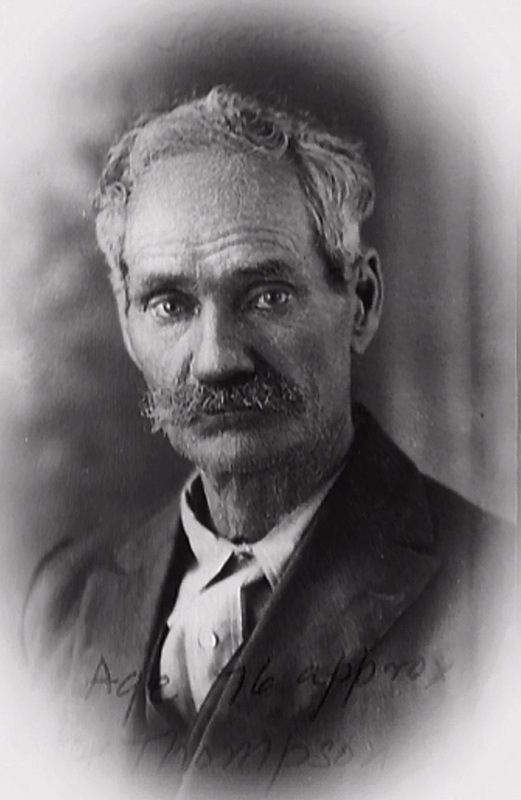 Thomas Meador, Co.H, was shot again and died. Pvt. Thompson made his way back to find a doctor and Dr. Porter cared for his gun shot wounds. At this location there were many wounded soldiers, one was Co.C, Pvt. James Bennett. Kneeling down beside Bennett, Thompson asked, “Can I do you any service?” “Water, Thompson, Water, for God’s sake!” was the reply. Thompson then began to realize what he had to do. He gathered two canteens and a camp kettle, and made his way back to the ravine in which he was wounded. There he was stopped and questioned by his sergeant and was told he would never make it back alive. Thompson responded that since he could not carry a gun, which he gave to another trooper who needed a gun, he had to do something to help the wounded and the dying. Thus began the water trips down to the Little Big Horn River. During his trip to gain water, Indians opened fire on the trooper as he entered the river, grazing his skull, as his daughter, Susan would later describe as a three inch furrow in his right scalp. Thompson made four trips to obtain water on that day. 2nd Lt. Winfield Edgerly, Co.D, 7th Cavalry, applied for and obtained a Medal of Honor for Private Peter Thompson. 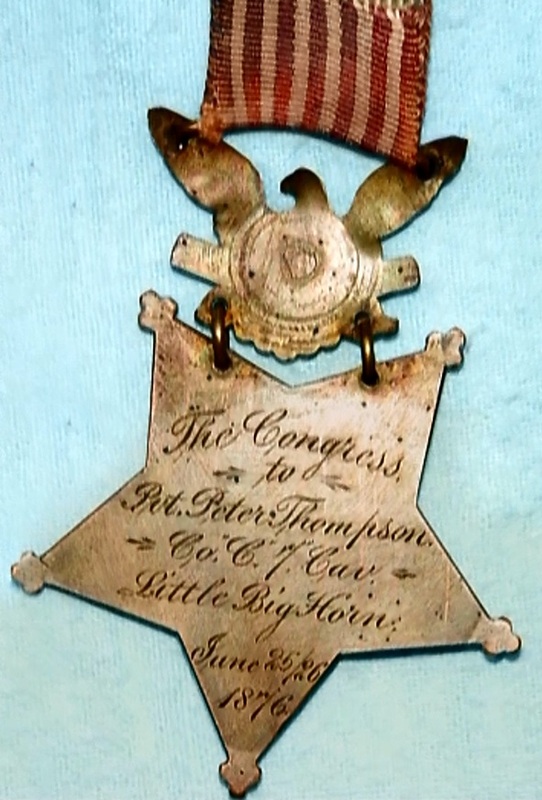 On October 5, 1878, Private Peter Thompson received the “Medal of Honor”. This is the private, the soldier, the mettle, the hero, and the man, Peter Thompson. 60 men and 2 officers, marched out of Ft. Lincoln. 37 men and 2 officers of Co.C died from The Battle of the Little Big Horn. Emigrated to the United States 1865 (1863), settled with his parents in Pittsburgh, Pennsylvania. Enlisted in the United States Army for 5 years, September 21, 1875. Upon enlistment was assigned to Jefferson Barracks, St . Louis, MS. Transferred October 21, 1875 to Fort Abraham Lincoln, Dakota Territory. Assigned to Co. C, 7th Cavalry, under Capt Tom Custer, 1st LT Calhoun and 2nd LT Harrington. 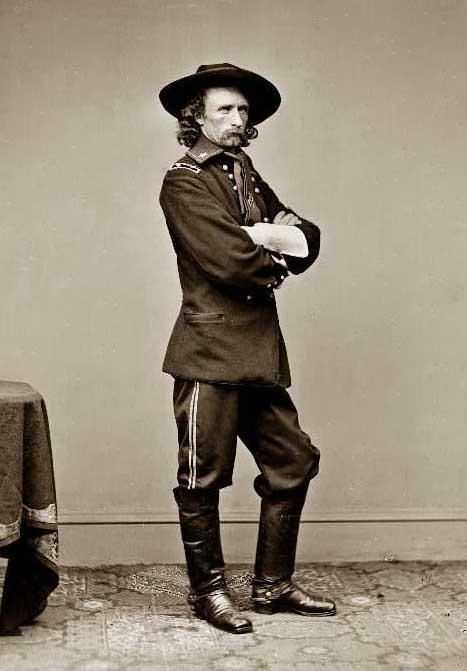 General George A. Custer took command of the 7th Cavalry, March, 1876. Participated in the 1876 expedition to the Little Big Horn River against a large body of Indians. 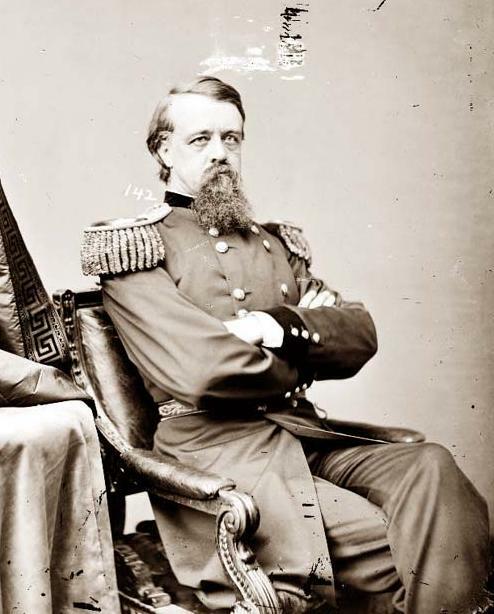 Heroically, Thompson made four trips retrieving water for the wounded during the battle. notwithstanding remonstrances of his sergeant." 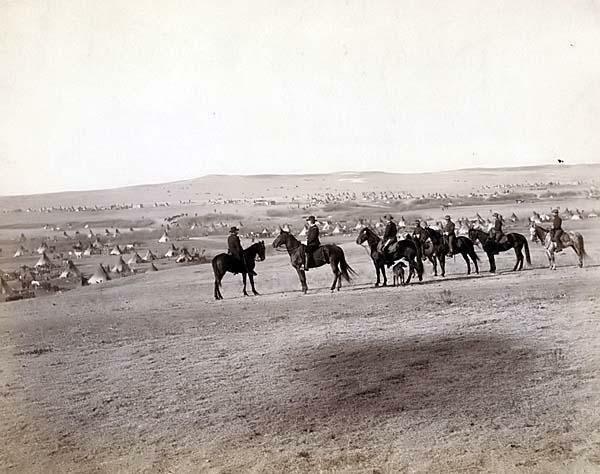 Company C hunted and escorted Dull Knife's band of Cheyenne to Ft. Robinson. Married September 21 1904 to Ruth Boicourt, two children, Susan and Peter Jr. Authored the narrative, "Custer's Last Fight, The Experience of a Private in the Custer Massacre"
Growing up in Montana has always given me a closeness to history. In 1978 I went to work for the railroad that snakes along the Yellowstone River. Passing by Yates siding, inspecting the bridge over Glendive Creek, driving through the town of Marsh, working in the town of Terry, passing the mouth of the Powder River, getting a hotel in Miles City, over the bridge on the Tongue, then heading west past Fort Keogh, eating in Rosebud, meeting co-workers in Forsyth, and dropping out of the hills crossing the Big Horn River and going into Custer; this has been my joy of working for the railroad. I was educated with a Doctorate of Teletype Therapeutics, which is the electrical, mechanical, transference of human intelligence. For those of you who have never heard of this, I was a teletype repairman. Passing time put my career in to the museums and now we have the internet. But it set me up to deal with many things at a time, and eventually to this day I still move information, voice, data, and video. The mechanical processes of the teletype had to be correct or it wouldn't work properly, that is the mechanical truth. The machine did not know whether the words on the paper were true or not, it just passed on the information. 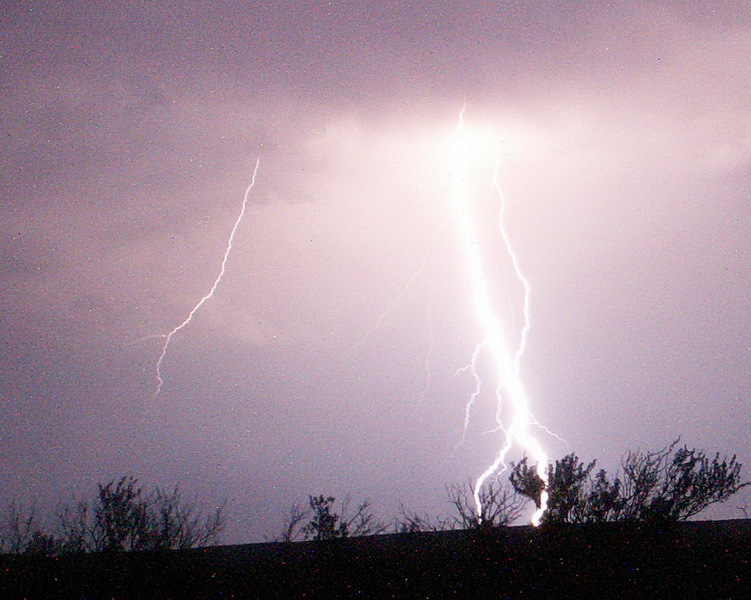 Eastern Montana is known for its large thunderstorms that roll over the plains somtimes producing large lighting flashes and torrential downpours. That is the way is was that night, June 6, 2007. The train dispatchers were putting out severe weather alerts to all the trains in the area. As the night stormed on, the trains began to get indications that the tracks were in peril and the dispatcher sent out his track inspector. It didn't take long and the report came in that the water on Cottonwood Creek was rising and appeared that a flood was eminent. The dispatcher decided to bring all trains in the area to a stop. A short time later, the creek swelled and scoured the creek bottom, washing with it everthing in its path. As the flood made its way down the creek the debris would dam up until enough pressure would build and break the dam creating a flow of unnatural strength. As this made its way towards the Yellowstone River the last major obstical in its way was the railway bridge, which did not stand a chance against such an onslot. By early morning the storm was gone and so was the bridge. The railroad went to work repairing and rebuilding the tracks and the bridge. In just a few days the line was opened back up and the trains began moving again. A true testament to the hard work and dedication of the rail workers in this part of the country. These tracks have stayed open for many a year. This section of track was called the Yellowstone Division and was built by the Northern Pacific Railroad. In 1876, a nation was on the move and the need for several transcontinental railroads had been ordered up by Congress. Along with land, money, and eminant domain, Congress authorized the US Army to provide what ever protection that was required for the railroad surveyors and construction workers to build a new railroad from St.Paul, MN to Seattle, WA. The last segment to be built, layed between Ft. Abraham Lincoln, modern day Bismarck, ND. and FT. Ellis, modern day Bozeman, MT. and the only thing between was the Yellowstone Valley, which was the northern boundary of the 1868 Ft. Laramie treaty. June 14, 2007, a beautiful spring day, the sky had a blue to it that one can only see in Montana. It's no wonder people call it the Big Sky Country. At my shop we had heard about the flood that took place and had seen the pictures down at the yard office. My co-worker James and I headed west to inspect our tower sites. These sites are in remote locations, most on some hill top in the middle of nowhere. The site we were heading to is west of the Cottonwood Creek that had flooded eight days earlier. As we drove around the bend, the creek valley came into view and since we were atop the draw, our view of the valley was clear. We slowed down and surveyed the damage done by the flood. I was amazed on just how much the creek bottom had been cleaned out. There were new ponds and large sandbars now visible. This creek normally only has water running during spring runoff and during the thunderstorm season. As we drove down the valley it became apparent the extent of the damming and the flooding that took place, for there was a debris water line high up the banks of the valley. At one point the water must have been thirty feet deep. It is no wonder the railroad bridge was washed out, once this dam let loose. We stopped and James got out taking some pictures of the devastation. I stood there wondering what this valley must have looked like when the flood took place. Suddenly something caught my eye. Way up the bank at the top of the water line I noticed some papers. The papers seemed out of place, so I crawled up through the debris to the point where the papers laid. I observed that they appeared to be some kind of documents, multiple pages stapled together. The papers were a copy of a hand typed manuscript, with corrections scribbles on the side borders. Yes, there were two copies of the same document, both had suffered water damage but were intact. The papers had dried out in the spring sun. The one was pretty crumpled up and the other was in good enough shape that I could turn the pages. I crawled down the bank and sat down and began to read the document. As I read this story to myself, James took a picture of me sitting and reading. James is my witness to my story and his camera caught this moment in time.